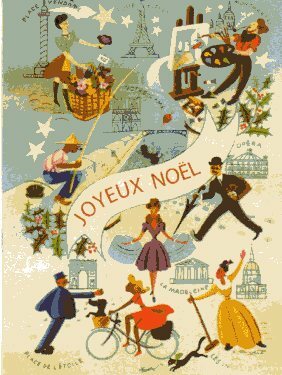 Wishing you all a Joyeux Noël, Merry Christmas and Happy Holidays. I hope you are creating delicious memories, feasting on wonderful stories, passing on traditions and sharing in rounds of laughter with your family & friends! I want to share with you one of my favorite videos of a traditional French family Noël (Christmas). Instead of stocking hung by the chimney don't miss the cute shoes under the tree.